A few weeks ago, I was catching up on my Facebook and Twitter feeds when I noticed a story from a reporter at Hoy, the Spanish-language sister publication of the Chicago Tribune. 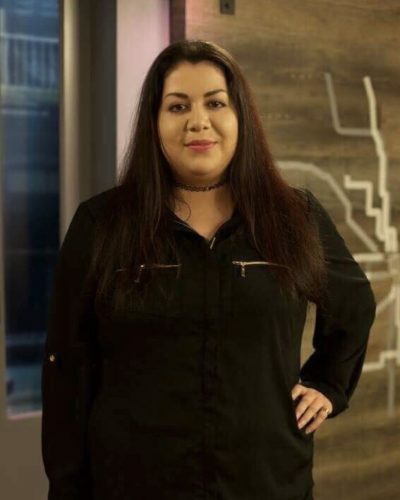 Jackie Serrato had covered the arrest by Immigration and Customs Enforcement agents of a man getting gas with his teenage daughter at a service station in Chicago’s Back of the Yards neighborhood. Video of the incident went viral on social media after a bystander captured it on Facebook Live. But I realized I hadn’t seen the story reported in English-language media, so I tweeted it out in English so more people would see this was happening on Chicago’s “sanctuary city” streets. That tweet received more than 200 retweets, including many from immigration reporters across the country. This reminded me of my own experiences as a Spanish-language reporter in Miami, writing stories that mattered to Spanish-speaking communities but weren’t always covered, translated or even acknowledged by the English-language press. It was frustrating, as if my work wasn’t good enough. When I mentioned this to my colleagues, we decided to interview Jackie about how she views her work. She was born and raised in Chicago, the daughter of immigrants from the Mexican state of Guanajuato. She previously freelanced for WBEZ and DNAInfo in Chicago, and runs a popular Facebook page with original reporting from Chicago’s Little Village neighborhood. Like Jackie, I’ve worked in both English- and Spanish-language media. Here are some takeaways from our conversation, edited for clarity and length. I feel like traditional outlets do their reporting from the top to bottom. First, they talk to officials, look at numbers and official statements, then they seek out the input of an average resident, while someone like me does bottom-up reporting. We go to the community first, and then we reach out to people we consider experts. I saw there was a disconnect [between] what mainstream outlets covered and the things we found important as immigrant communities. So I started a Facebook page for my neighborhood, La Villita Chicago, which now has over 125,000 likes. I just wanted a space on the web for Mexican-Americans and Latinos in Chicago. I realized this was a very much-needed space. We were talking about gang violence, ward politics, threat of gentrification and what people were witnessing on their blocks. When I shared links to news stories [from mainstream outlets] in this group, I could tell these articles were very hard to relate to. They were number-heavy, harsh and included very few interviews with locals. Perspectives in the stories seem one-sided. My focus at Hoy is to cover immigrants and Mexican-Americans in Chicago. I do it to alert people of what’s going on. This process is the essence of journalism. Many companies that offer both English- and Spanish-language content tend to silo each language. There’s not much collaboration or flow between both languages. Good journalism will be good journalism no matter what language it’s in. English-language media has more access to politicians, government agencies — more access in general. For example, if I call for an interview and I say I’m with Hoy, they sometimes hesitate. But if I say I’m calling from Hoy, the Spanish-language paper of the Tribune, they transfer me to that person right away. At English-language outlets where I’ve worked, whenever I pitched stories, I’ve felt like I was perceived as biased because I wanted to cover my neighborhood, cover people who spoke my language and who had a similar background. As if I would be throwing softball questions or advocating for them. Yet white reporters can cover their own neighborhoods and ours with authority. With these ICE cases, a lot of times these families are mixed-status families. There will be other family members who don’t have papers or who are DACA recipients, so they don’t feel comfortable talking to a white person or someone who speaks English, and who probably isn’t sensitive to their status as immigrants. Over the years, I’ve gained people’s trust. If someone shares something with me that is confidential, it is confidential. If a person wants to be anonymous, I respect that. But I also walk the streets regularly, and I build relationships with community members that tell them I won’t just be there for 20 minutes and then leave. I’m there because I’m concerned about what’s happening and I care to learn the full story and get multiple perspectives. I totally understand if they don’t trust me because I’m part of the media. Be critical. If the story doesn’t seem complete, don’t be afraid to write to the reporter and editors to make your voice heard. As reporters, we depend on our readership. If you’re a good journalist, you’ll listen to your readership. We want to listen to our readers. If you have thoughts to share about our stories, including our recent coverage of the shelters in Chicago that house immigrant children — stories we are also publishing in Spanish — please get in touch. 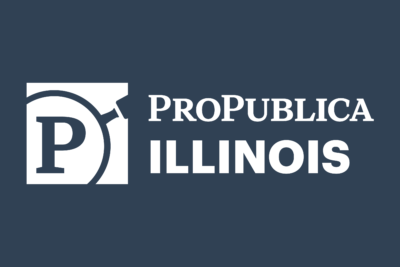 Helga Salinas is a former engagement reporting fellow at ProPublica Illinois.